I was up at half past five this morning, showered and driven to Berwick by Rachel in time to catch the nine minutes past seven train to London. It was an uneventful journey and I had no one sitting beside me all the way to London. This made it easier to do some work on the journey and by the time I had arrived at London around ten minutes to eleven I had completed quite a lot of the work I needed to get done for the meeting I was attending. In London I wandered from King’s Cross to St. Pancras and caught the very deluxe ‘international javelin’ to Canterbury West arriving just after mid-day. 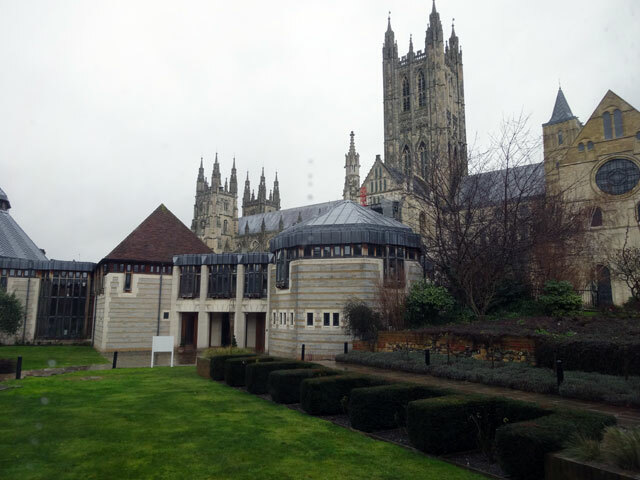 I wandered through Canterbury, taken-aback as I always am by how many young people there are in Canterbury. Of course, there are two universities but even so it seems a youthful and a thriving place to be. I popped into a McDonald’s for a sandwich and some fries before making my way to the cathedral and signing in at the pilgrim’s lodge. 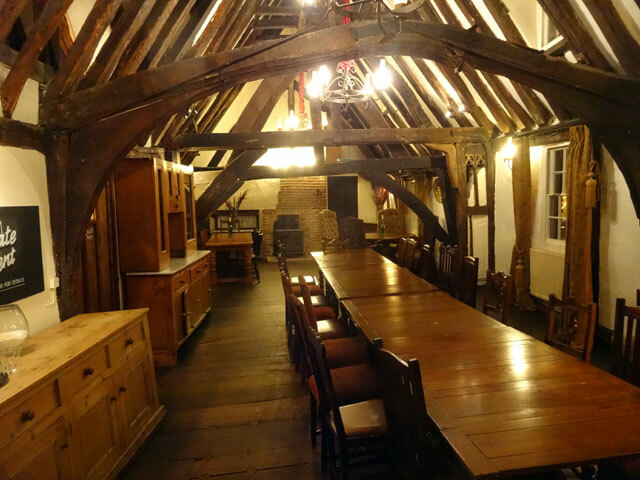 I was able to go straight to my own room – a lovely room with a view of the Cathedral – and after freshening up I made my way to the Diocesan Offices in the board room of which our meeting was to be held. This was an important meeting of the steering group of the Green Pilgrimage Network Europe, set up at the last major conference in Trondheim. The reason that the meeting was so important is that the time has now arrived for the Green Pilgrimage Network to come out from under the umbrella of the Alliance of Religions and Conservation and stand on its own feet as an independent charity. In part this is because now is an appropriate time for this to happen and that perhaps by remaining under that friendly umbrella for so long we have got too cosy and have not pushed on with some of the opportunities which have presented themselves; it is also an essential time for this to happen because the Alliance of Religions and Conservation is cutting its activities down very substantially, partly because this is what it wishes to do and partly because it has been subject to a massive funding cut. So the afternoon’s discussions with representatives from Norway, England, Sweden and Scotland centred on finding the optimum shape for moving forward as well as discussing the kind of organisation which we would like the network to develop into. There were messages of support from the Green Pilgrimage Network India and the Alliance of Religions and Conservation is obviously keen to assist until we find our new shape. Considerable discussion centred on whether we see our future as a European network or wish to maintain our world-wide links. It wasn’t that anyone didn’t want us to be a world-wide grouping, it was just would we be able to maintain such a presence or would it be better to concentrate on Europe? Final decisions on these matters will be taken tomorrow. We broke from our discussions and went to Evensong at the cathedral. 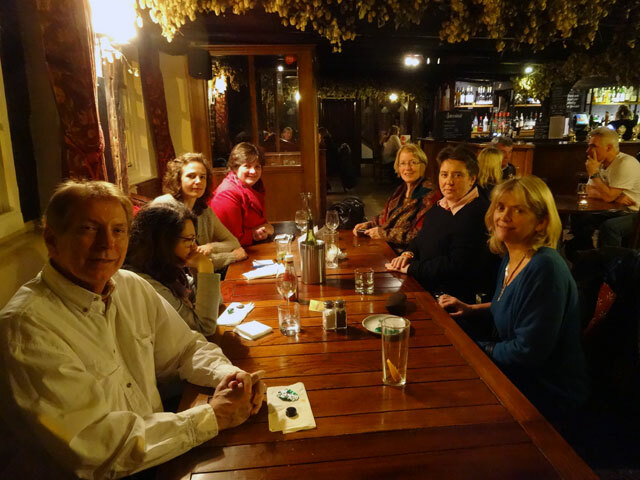 It was a lovely antidote to all of the discussions we had been having and after the service – and a brief break to change our clothes – we all went out to eat in a restaurant, an extremely old restaurant with a medieval hall over it, where we enjoyed a splendid meal and good company. I was sitting between Alison, the organiser of the Green Pilgrimage Network from ARC, and Rune from the town council of Trondheim and we enjoyed some spirited conversation. We all walked back together through the cathedral precincts and I was soon in bed (having first telephoned home to ensure that all was well with my folks and my dogs). I was surprisingly tired and was soon fast asleep with the flood-lit cathedral outside the window for company. It had been a very good day.